For a well-balanced, contemporary family living room, it’s essential you make it work for all family members. This is the most sociable and usually the most spacious room in the house, so it should include everyone and cater to everyone’s needs. This means that its design, style, layout and functionality have to ensure that everyone can relax in it. Design trends constantly change, but one thing that never goes out of style is comfort. A truly family-friendly living room must be inviting and comfortable, and that can easily be achieved with soft carpets, deep sofa, squashy cushions and a lot of practical details such as coffee and side tables, and bean bags for kids. Here’s a practical and useful guide on best family room ideas to get you started on transforming your living room. Clutter is enemy #1 of comfort and good design. It’s inevitable for a large family to have tons of knick knacks but it’s essential you keep them neatly hidden away. Use decorative wooden boxes to store kids’ stuff, a split level coffee table can house your books and magazines and open shelving can be used to display your travel memorabilia and prized possessions. No modern family living room is complete without essential technology, so make sure you create a media centre for fun family movie and game nights. However, designing this space can pose challenges as to how to tie it in with the rest of the décor. Most people tend to give a lot of thought to choosing the right furniture, carpet, drapes and lighting, and then end up putting the TV on an awkward piece of furniture not even designed to hold a TV set. 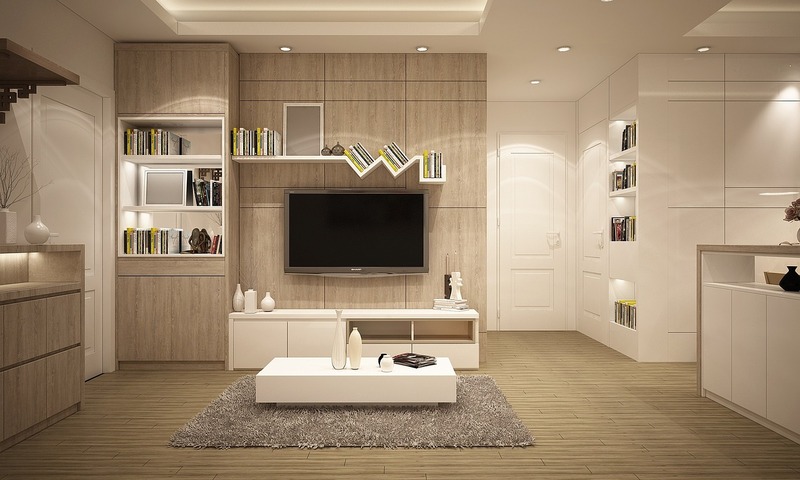 As the TV stand is usually the focal point of the room, it needs to look right, proportioned and clean, with no wires and consoles spilling over. To avoid this mistake, consult this TV stand buying guide that will help you go through your options and make the best choice. Family rooms see a lot of traffic, especially when you have your friends and extended family over, so make sure everyone can be accommodated. A large sofa or a sectional is a must-have as it will play a vital role in providing space and comfort for everyone. The room layout should leave enough room for kids to move around and an open concept floor plan will allow an unhindered family interaction. Organize the room in zones for relaxing, working and dining, keep a neutral colour scheme but add lots of colourful details and bright accessories to uplift the atmosphere. Make sure there’s plenty of natural light coming in. Also, it’s essential you give the little ones their corner of paradise even if there’s a separate playroom elsewhere in the house. Kids love to be in the centre of attention, but don’t let them overtake the living room! Make sure you dedicate one area as a kids’ play space with lots of storage to keep everything tidy once the playing is over. For most people, a busy family home means a lot of mess and stains, so the easily give up on the idea of having a stylish home, at least while the kids are still in the house. However, there are ways to have the best of both worlds. Replace your heavy curtains with modern shutters, paint the walls in a bright, fresh colour pallet with a washable finish and possibly go with leather furniture that is easily cleaned and looks better as time goes by. Top it all off with a classy chandelier or modern light fixtures for a final touch of elegance. As for flooring, your best option would probably be hardwood as they give every space warmth and class, but are easily maintained. Add texture and colour by putting several soft rugs. If you go with shaggy rugs or faux sheep skin, the kids will absolutely love and it will double as seating when you have lots of guests. By choosing different colours, patterns and textures, you can create a warm and inviting living room. Add plump, fluffy cushions and soft throws on your sofas, a blanket or two on the side, a fire place or a warming stove and plenty of wooden details. The best way to give the room your stamp is to personalize it with your favourite family photographs. Pick the wall above the sofa and make it your own gallery. You can opt for identical, monochromatic frames or mismatched, eclectic ones that you can arrange so it all makes a powerful visual impact. Living rooms are the true hub of a home and they bring the whole family together. Designing your family living room should not pose a daunting challenge for you, but it should be an exciting and rewarding task of creating a warm and inviting space for your loving family. Hopefully, the tips listed here will inspire you to create your own little family haven.